Bonnie Bruderer spent 20 years working and touring with celebrity motivational giants, such as Tony Robbins, Harvey Mackay, Alex Mandossian, to name just a few. She is a film and TV producer with over 700 television segments and is the writer, director, and producer of the documentary, “INFLUENCER”, on the social media generation and the billions of dollars in ad dollars that have been generated over the last few years. Seeing from the inside what made these world-class experts successful, Bonnie emulated that knowledge to create her media empire. Bonnie founded BINGE networks, a multi-channel media network for creators and brands, with syndication on 50 top OTT television networks. BINGE has a proprietary technology that can instantly get any video content featured in outlets all over the world. They are a quick growing media company, and with over 150 channels of content, have accomplished a great deal, but this is just the tip of the iceberg. A kickboxer, an avid dog-lover, and Auntie, Bonnie has starred in multiple fight movies. She is also a four-time author and holds 10 certifications in human potential and coaching, including Columbia University’s Executive Coaching Program. 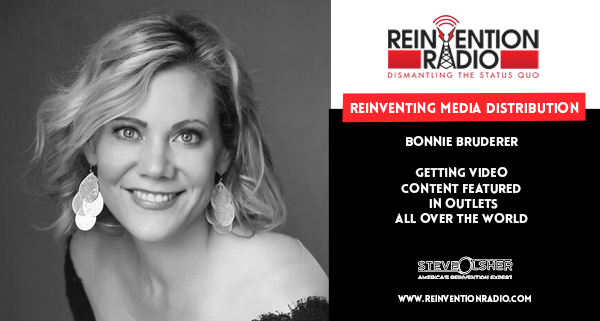 Tune in to hear Bonnie chat with Steve, Mary, and Richard about reinventing media distribution and how she helps people get their video content featured in outlets all around the world. How do you get the distribution? Reinventing Mind Body Spirit – In this episode, tune in to hear JJ chat with Steve, Mary, and Richard about reinventing mind, body, and spirit to create physical, emotional and spiritual fitness for the happy life you deserve.